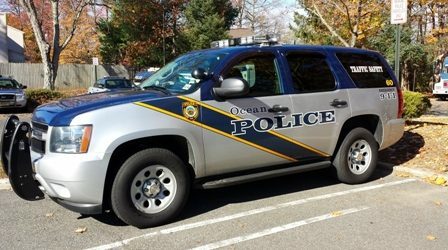 An early morning Friday suspicious vehicle investigation led to the of a Neptune man for possession of 64 bags of heroin, Ocean Township Police have reported. Anthony E. Miller, 25, of Neptune is charged with with possession of heroin, possession of marijuana and drug paraphernalia, officials said. The arrest came after Ptl. David Marino spotted a vehicle parked with no lights on in the Wanamassa Fireman’s Field Memorial Park near 12:34 am, officials said. As Marino illuminated the vehicle he noticed that it was occupied by one lone male. Further investigation revealed the accused was in possession of marijuana. Miller was taken into custody without incident. As Marino continued his investigation he located 64 bags of heroin and drug paraphernalia, officials said. Miller received a criminal complaint and was transported to Monmouth County Jail, pending an initial court appearance.